Combination 50th/25th Vow Renewal CeremonyI am planning a ceremony where my parents will be celebrating 50 years of marriage and my husband and myself are celebrating 25 years. I just want it simple and was thinking about our entrance into the venue. Decorating a Barn for a Wedding ReceptionI'm planning the decorating of a large metal barn for a May wedding for my granddaughter. (We live in OK). I want to use cheesecloth to drape off a 20'x40' section for the reception for eating and dancing for approx 60 guests. Poem for Wedding Shower FavorsI am looking for a poem to go with my homemade kitchen jar grippers that I have made as flavors to give out at a Christmas wedding shower. Trash Can and Mop Bride DecorationHow do you make the bride decorations out of a trash can and mop? There is no information on this. Planning a Small Late Evening Wedding and DinnerWe are having a very small intimate beach wedding in the late winter on the shore at the Gulf of Mexico. We are planning the wedding to be at about 9pm under a full moon. Finding a Wedding Venue in DC AreaI've been looking for venues for my wedding in May 2017, for my amazing fiance and 350 guests. I've found some decent places I just haven't really found one I love in our price range. I'd really like to find a place in the D.M.V area for about $2000 or less, maybe more if need be. Affordable Wedding Venues In MarylandI am looking for affordable wedding venues in Maryland. The wedding will be next spring. Although we do not have a set budget as of yet, we would like to save as much money as possible while still providing a nice atmosphere for ourselves and our guests. We are willing to travel basically anywhere in Maryland. Venue for 5th Year Vow RenewalMy husband and I are planning to renew our vows next year for our 5 year wedding anniversary. I already have a dress. We have no kids. We want a wedding that we never had, but not in a church partially since we have a lot of friends and family. Any suggestions? Decorating Wedding Ceremony Space at a HotelMy daughter will have her ceremony in one room and her reception in another at a hotel. How do you decorate for a ceremony when it's just a empty room with chairs? The reception we have under control, but I'm stumped on the ceremony. Her colors will be neons. Pirate Theme Attire for WeddingI received a wedding invite stating "Pirate attire will be required". Small Flowering Plants for Wedding DecorationsI need 100+ live flowering plants for my daughter's wedding, August 22, 2015. I have coffee mugs to plant them in and want to nest 10 on each table to use as centerpieces and as a take-away gift for our guests. Any ideas for plants would be appreciated. Planning Food for a WeddingHow many main entrees, sides, and desserts, do you need to serve at a wedding? Using Stargazer Lilies for a WeddingI am getting married at the end of August of this year. This will be an outdoor wedding and I would like to use stargazer lilies, but am not sure if they would last in the heat. I really want them at least in my bouquet and the girls. I am not sure about the boots or corsages yet. What do you think? Centerpieces for Wedding Rehearsal DinnerWhat type of table decorations do you recommend for a seafood buffet served in an open barn on the water in south Georgia? The groom loves golf and plays the piano and is in the medical field. We would like to stay rustic burlap, but need help with centerpieces. The wedding will be in the spring. Decorating for a Wedding ReceptionWho is responsible for decorating the reception area? If it's me, how do I do it?My daughter is getting married 450 miles away from home. What do I Wear for a Second Marriage?I am getting married for the second time. The venue is as small country church. My soon to be father-in-law will be performing ceremony, with a few guests (immediate family). Wedding Decoration IdeasPlease I am planning for my wedding and am so confused. I am thinking of doing my wedding outdoors or renting a hall. I want a wonderful decoration for either. My colours are orange, olive green, royal blue, and red. Planning a Backyard Wedding ReceptionI need help planning a wedding reception for under 1,000 dollars in a back yard. Planning an ElopementBill and I are planning to elope. We don't have a lot of money, but would like a place to be wed. I was thinking about a bed and breakfast and if possible to have a priest or minister as well. Any ideas would be appreciated. Inexpensive Wedding Reception Menu IdeasMy wedding is next month and I'm still stuck on what to serve at the reception. 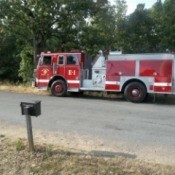 We're on a tight budget and are expecting about 100 people. I'm thinking Italian styled, but I don't know how to go about it. I don't wanna do anything too heavy as it will be hot. We are in the South! Guests at Groomsman's DinnerWho exactly should all be invited to the dinner? Should it be the wedding party, parents of both couples, grandparents of both couples? Cheap Wedding Venue IdeasI need a place where I can have a small, but cheap, wedding. Feeding 100 people at Wedding Without CatererI am having a wedding in the south for 100 people. I am on a budget and have no caterer. How do I feed 100 people for my wedding? Wedding Buffet IdeasWe're getting married in November this year. We are having it at our home for around 50-60 people. We have decided on a buffet, but are not really sure what to offer as we don't want it too look tacky. Any ideas are most welcome. Shopping for a Wedding Dress OnlineI was looking for the bridalonlinestore.com, but I cannot find it anywhere online any more. I tried to call their phone number, but another company is answering it now. Does anyone know if they changed their name, and how I can still get a hold of them? Small Wedding or ElopementWe want a super small wedding! Either just the two of us, or very few people. We live in Washington state and need some help with ideas. Ideas for Covering Church Carpet During WeddingMy daughter wants to get married in our church, but hates the carpet. Are there any ideas to cheaply cover the carpet? It would be not only the aisle, but also at the altar area. Wedding Centerpiece With a Live FishI want to put a real fish in a bowl with a floating candle. Would it be OK? Making a Bride Decoration from a Mop and Trash CanI am interested in the article that was posted. That is how I came to your site. I am hosting a bridal shower. Thank you. Small Coin Envelopes to Use for Rice at WeddingInstead of making up rice bags with the netting and tying a ribbon around it I thought maybe we could fill coin envelopes with rice.I plan to put some kind of a decorative sticker on the outside with the bride and groom's name and date or something like that. Shoe and Hosiery Colors for Taupe DressWhat color shoes should I wear, as mother of the bride, with a taupe dress with silver sequins? What color hosiery should I wear? Tracking Down RSVPs for a Bachelorette PartyI received an incomplete guest list for an bachelorette party. Not everyone had phone and address, and some are simply "Find on Facebook". I miraculously tracked down these girls with phone calls, messages, printed invites (after personally tracking down their addresses), and even sent text messages. Planning a Budget for Wedding MealsHow much would I spend on food and drinks for a wedding, with a guest list of 200? 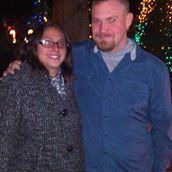 Planning a Small Inexpensive Renewal of VowsMy husband and I will have been married for 5 years October 2013. Due to things that were happening in our life we had no wedding. We signed papers with his brother and were married. Serving Coffee at a WeddingI live in Webster Massachusetts. I can't find a coffee machine rental for a wedding. What other options are available? Any ideas for serving coffee? 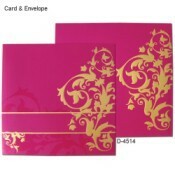 Indian Wedding Invitation CardsWhere can we browse latest Indian wedding invitations? Is allweddingcards.com best place for this? Table Runner for a Round TableHow wide should a runner be for a 60 inch round table? Planning a Lake Themed Couples Wedding ShowerMy son is getting married and we are having a couples wedding shower for them. We live on a lake and I'd like a theme to go along with this and ideas for food, games, etc. Thanks. Appetizer Ideas for an Outdoor WeddingI am having an outside wedding and there isn't anywhere to keep food hot or cold. The wedding is in April, however we till have coolers to keep things cold if needed. My problem is I can't figure out easy appetizers that would be safe to have. Creating a Gauze Wedding TentWe are holding a wedding in our backyard in June in N. California. We would like to create a tent like effect with gauze like fabric. Has anyone ever tried cheesecloth for a gauze like curtain treatment for something like this. If so, how did it work? Wedding Reception Venues on a BudgetMy partner and I are planning to get married in October. We are having a small wedding. Our guest list is 35-45 people. We are looking for a nice and inexpensive place to hold our reception. Appetizers for a Small Fall WeddingI am trying to put together an hor d'oeuvres only menu for an evening wedding reception (in the fall) of approx. 50-55 guests. I know I have to make heavy hor d'oeures for everyone not to be hungry. Decorating a Wedding Reception HallMy wedding colors are yellow and pink and the walls of the venue are blue and white. How can I cover that on a tight budget? Help! Serving Champagne for a Wedding ToastWhen the toast is made to the bride and groom we will have wine glasses for the bridal party. What do we do about the other people at the reception? Is it OK to just use a regular cup? Making Shotgun Shell Candy Wrappers for WeddingMy granddaughter is having a camo theme wedding and wants to have "fake" red shotgun shells in her bouquet, etc. All we need is a wrapper and we will fill it with cotton or paper so there is very little weight to it. Ideas for Planning a Wedding on a BudgetI would like some ideas for planning a wedding with the theme, soul food. 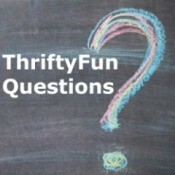 Please provide thrifty ideas. Thank you. Wedding Gift Money AmountI was invited to the son's wedding of a guy I have played golf with on and off over many years. Long story short, I was not able to attend and I would like to send a card with cash. The question is how much? Decorating a VFW Hall for WeddingI'm getting married in 8 weeks and my reception is at the VFW. That's all I can afford. I have 3 kids, plus my sisters 3 kids, plus another teenager so we're poor! lol I need something way inexpensive to cover the wall with the flags on them. Ideas for Wedding Vow Renewal CeremonyMy hubby and I are planning to have a spiritual 23rd wedding renewal at the beach, very simple. Any ideas? I have a spiritual friend who will do the ceremony. Planning a Wedding on $3000We haven't set a date yet, but we want to get married in 2014 after June, we both will have our bachelors in June and want to have our wedding afterwards. What month is it cheaper to get married in? Planning a Bridal Shower for a Mature BrideMy sister is marrying for the 1st time at age 53. She has been living on her own for years, as has her fiance who was married previously. How do you plan a shower for this and what do I suggest for gift giving. She doesn't know either. Food for a Wedding Reception for 70I am in charge of cheese, meat, crackers and olive and pickle trays for a bridal shower with 70 guests. Any ideas on amounts I will need? Wedding Reception Venues in BaltimoreI am getting married March 15, 2013 and I am looking for a cheap reception hall located fairly close to Northern Parkway and Loch Raven, in Baltimore. The number of guests ranges from 120-150, but I am trying to stay under $5,000 for everything. I am in desperate need of suggestions! Shopping for Clear Cylinder Shaped VasesI am in need of clear vases, cylinder shape of all different sizes. I need about 50 of them. If you have them, or know someone or a website. Please let me know! Cheap Wedding Sites in Baltimore, MarylandI am looking for cheap wedding sites in Baltimore, Maryland. I am planning my wedding for April of next year (2013). 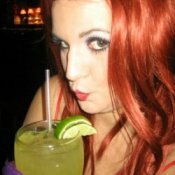 I need to know of cheap wedding/receptions sites to hold my wedding. Choosing Flowers for Wedding ReceptionMy daughter's wedding will be March of 2013. She has chosen precious metals as her color scheme: bronze, gold, and pewter and wants cream calla lilies. We would like candles and flowers at the reception tables. What type and color flowers would you recommend? Inexpensive Venue for Bridal Shower in Baltimore AreaWhere can I find a affordable location for a bridal shower in the Baltimore, Maryland metro area? Bridal Gift IdeasMy best friend is getting married and I want to make her something special. I want to make something for her from a piece of my veil. It has lace and bead work on it. I have thought of a hanky, but can't figure out how to do it. Any gift suggestions or ideas on the hanky? Pinwheel Lollipops as Wedding FavorsI am getting married in June. I would like to make pinwheel lollipops as my favors, but I'm not sure how much one 12oz. pack makes. Inexpensive Northern New Jersey Wedding Reception VenueWe are planning to tie the knot this November 2012. We have the food covered, the dress covered, the grooms attire, and things of that nature are set. We are struggling to find a place. Peacock Themed WeddingI am planning a peacock themed wedding on a teacher's budget. Can you guys offer any tips for cheaper decor with feathers and flowers in the variety of colors that peacocks have? Specifically, do you know of places with cheap candles and cheap flowers? Thanks! Wedding Decoration IdeasI'm getting married July 21, 2012 and looking for decorations for a church wedding. My colors are turquoise and chocolate. My accent color is white. Can you help me? Ashtrays for Outdoor WeddingsWhat is a nice way to deposit them at a backyard wedding? I am thinking coffee cans, but what to write on them? Making a Silk Flower BouquetIs there away you can make a three flower bridal bouquet, using silk roses? Idea for a Gift from the Bride to Her SonsI am getting married again and I would like to give my sons (of previous marriage ages 18 and 20) a gift from me as a gesture that even though I'm marrying again, they are still a main part of my life. Making a Padded Wedding Photo AlbumI need a pattern and directions for making a padded photo album. Thanks. Inexpensive Menu Ideas for Large Rehearsal DinnerInstead of a rehearsal dinner I thought we could have all the family members and wedding party for the meal after the wedding rehearsal. Between the 2 families, if everyone came it would 80 people then add in the pastor, bridesmaids, groomsmen, and maybe dates if they have one. Inexpensive Wedding Site in Anne Arundel County MarylandI live just outside of Annapolis and need a place to hold the wedding and reception. The wedding is in 2 years and I have a budget of preferably under $3000 but no more than $5000. It's not like money laying around to spend so I have to save up. Choosing a Wedding ThemeI want a Victorian wedding but he wants a modern wedding. How can we compromise? Affordable Nice Venue for Wedding and ReceptionI'm getting married in April of this year and I'm looking for a place to have my ceremony and reception all in one. We are looking for something affordable and preferably somewhere that allows outside food. Ideas for a Wedding GiftI have an older friend who is getting married to a lady at my church on December 31. I would like ideas for a gift to give them. They both have houses with everything they need. Tulle Covered Aisle LightsHow do I wrap tulle around lights for an aisle runner? Wedding Gown AdviceI am designing my sister's wedding gown. I ordered the fabric, but it still hasn't arrived. This is what I am trying to find out. She wants a ball gown style dress constructed out of 26 yards of fabric. I'm trying to convince her that it is too big, but she is so stubborn. Adding Embellishments to a Plain Wedding GownI recently bought a plain wedding dress. In an attempt to save money, I am interested in adding jewels to it myself to make it a bit more glamorous. Autumn Wedding Ideas on a BudgetI would like to know if anyone has any good ideas for DIY decor/creative wedding transportation ideas for an autumn wedding? Wedding Rehearsal Dinner IdeasMy wedding is in the spring and I have no idea what to do for my rehearsal dinner. I live in Maine so the springtime gets very muddy we are also on a very tight budget :/ Help please! Cheap Wedding DressesDo you know any sites that are good at replica wedding dresses? Wedding Reception Locations in Jersey CityI am getting married in July of next year. I am kind of lost in the wedding planning process so I am taking it one day at a time. I live in Jersey City. I want to find a place that is affordable, where they can supply food and drinks or maybe I bring the food and drinks. Please help. Ideas for Meaningful Gift Bags for Wedding GuestsI once received a little bag of do dads that had special meaning. I'm looking for a site that would have some ideas for creating such a gift to thank guests at a wedding and tell them how much they mean to us. Any ideas? Ideas for Out of Town Wedding Guest BagsWe are having a destination wedding in February. We were wondering what kinds of things should we put in them. Any ideas? Wedding and Honeymoon on $ 5,500 BudgetI only have a $ 5,500 budget for my wedding and honeymoon. I was wondering if I could pull it off? I live in Newport News, Virginia. Please help. Making "Something Old" from Grandmother's Wedding DressI have 2 daughters who will someday marry. My mother's wedding dress is still in her attic and is very worn, fragile, and grayish in color. I want to use pieces of her dress to create "something old" for each of them to have on their wedding day. Decorating Chairs for a Wedding CeremonyI am having a wedding in a hall. All of the chairs are the banquet rounded type. We want to affix a hanging basket aisle decoration to them, but with the rounded type it's difficult. Any suggestions? What to Wear to Renew My Vows?My husband and I are renewing our wedding vows for our 5th wedding anniversary. We had a big traditional church wedding and are doing the opposite for the vows.